Are you feeling confused or muddled? It’s common at menopause due to hormonal fluctuations, but there are plenty of other times you might be affected too. “Brain fog” is often quoted as a feature of menopause, but it isn’t a medical condition and it can occur at any point in life. It’s a term used for certain symptoms that can affect your ability to think. You may feel confused or disorganised or find it hard to focus or put your thoughts into words. Here are some of the times you might experience it. Women may find it harder to learn or remember things when they reach this stage of life. 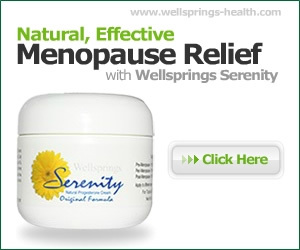 It happens about a year after their last period, along with those other menopause goodies of hot flushes and weight gain. The declining hormone levels and their subsequent effects are behind it so check your levels are in balance and if necessary supplement. You need sleep to help your brain work the way it should, but too much can make you feel foggy, too. Aim for 7 to 9 hours. To get good rest at bedtime, you may want to avoid caffeine and alcohol after lunch and keep the computer and smartphone out of your bedroom. It also can help to get to bed and wake up at the same time every day. With this condition, your body and mind are tired for a long time. You may feel confused, forgetful, and unable to focus. There’s no known cure for CFS, but medication, exercise, and alternative therapies can often help. You may not remember things well or be able to think through problems easily. It’s hard to know if this is linked to the loss of energy and motivation that comes with depression, or if depression affects your brain in a way that causes the fog. A combination of progesterone and oestrogen has been found helpful at menopause as have counselling, exercise and a supportive diet. Traditional herbal remedies include St John’s Wort, Rhodiola and Ashgawanda and aromatherapy oils such as Lavender help lift the mood. Some kinds of drugs, both over-the-counter and prescribed, can cause brain fog. If you take medicine and notice that your thinking isn’t as clear as it should be or you suddenly can’t remember things, call your doctor or speak to your pharmacist. Remember it may not be just that medication by itself but in combination taken with others so be sure to list everything you are taking. Chemotherapy can lead to what’s sometimes called “chemo brain.” You may have trouble remembering details like names or dates, have a hard time multi-tasking, or take longer to finish things. It usually goes away fairly quickly, but some people can be affected for a long time after treatment. This long-term disease causes your immune system to attack your body, and the symptoms can be different in different cases. About half the people with lupus have problems with memory, confusion, or trouble concentrating. There’s no cure, but supporting your immune system with a healthy diet that includes plenty of fruit, vegetables and garlic plus supplementing with vitamin C and a herbal preparation with Echinacea can all help.